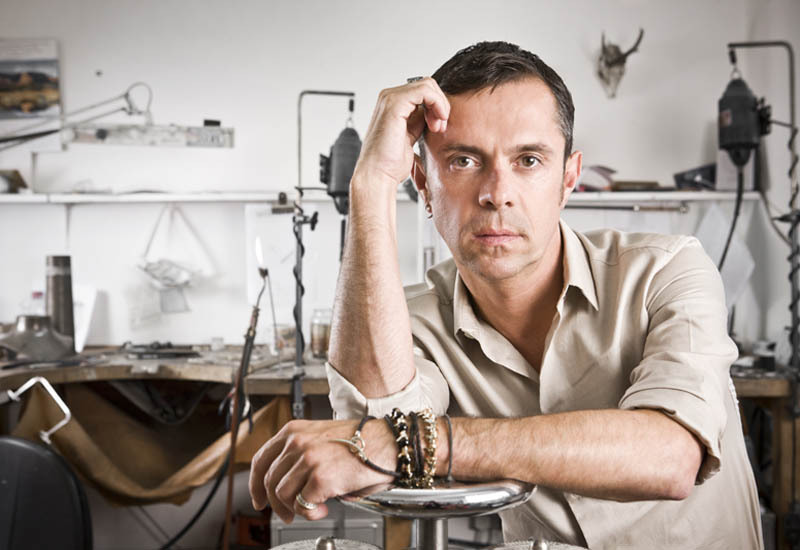 A dedicated sale of pieces from British jewellery designer Shaun Leane’s personal archive raised $2.6m (£1.94m) at Sotheby’s New York last night (Nov 4). Entitled ‘Couture Fashion Jewellery: The Personal Archive of Shaun Leane’, the dedicated auction of over 40 works created by the British designer offered collectors and enthusiasts a unique opportunity to acquire pieces of fashion history including designs debuted in Alexander McQueen’s runway collections from 1996 through 2008, and appeared in The Metropolitan Museum of Art and the Victoria & Albert Museum’s retrospective of his work in 2011 and 2015, respectively. Following a bidding between private collectors and insitutions vying for a piece from the archive, the auction outshined the sale’s high estimate of $2 million. The auction was led by the Coiled Corset, which more than doubled its high estimate when it sold for $807,000 (£601,121) after a bidding battle lasting more than five minutes. The Corset, created for McQueen’s Autumn/Winter 1999-2000 ‘The Overlook’ collection, is the only piece from Shaun Leane’s near-20-year collaboration with the late designer that is signed by both visionaries. The Skeleton Corset was among the evening’s top lots, soaring over its $350,000 (£260,779) high estimate to achieve $711,000 £529,754. Created for McQueen’s Spring/Summer 1998 ‘Untitled’ collection, it was inspired by McQueen’s idea of taking the beauty of the human body’s internal structure, and turning it into an external adornment. Created for The Honourable Daphne Guinness, the ‘Contra Mundum’ (Against the World) white gold and diamond evening glove fetched $312,500 (£232,826). Comprised of more than 4,000 diamonds, the object, inspired by Guinness’s life-long fascination with amour, took Leane more than four years to complete and was featured on the cover of V Magazine’s V99 issue. Three other works that far outstripped their pre-sale estimates include the Coiled Collar (featured on the cover of Björk’s 1997 ‘Homogenic’ album) and the Silver Crown of Thorns headpiece (created for Alexander McQueen’s Autumn-Winter 1996-97 ‘Dante’ collection).